The idea’s been floated before, mostly after U.S. Special Forces took out Osama bin Laden, al-Qaeda’s spiritual and operational maximum leader on May 1. Before then, of course, it was a hope, a wish, a deeply held dream for two administrations and the people of the United States. Anyone who lived in New York City 10 years ago. Anyone who’s lived there since. Anyone with a son or daughter in the U.S. military. Anyone who’s subjected themselves to the virtual high-tech, strip-search kabuki that’s part of flying on any commercial aircraft anywhere in this country at any hour of the day or night. But now, Greg Miller of The Washington Post reported Wednesday, thanks to the results of that successful raid in Pakistan, a prolonged drone strike campaign, and their impact on the organization’s leadership, “top U.S. national security officials now allude to a potential finish line in the fight” against the group that seared its name in the national lexicon, and the national conscience, on Sept. 11, 2011. “The assessment reflects a widespread view at the CIA and other agencies that a relatively small number of additional blows could effectively extinguish the Pakistan-based organization,” Miller reported Wednesday. 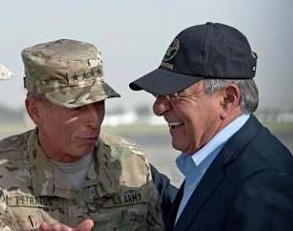 Miller quotes the newly-minted Defense Secretary Leon Panetta, who said "we're within reach of strategically defeating al-Qaeda" in a July 9 surprise visit to Kabul, Afghanistan. There was thinking that Panetta may have overreached in an assessment believed to be meant more to buck up the troops still doing the fighting than to provide a realistic analysis. "I'm not sure I would have chosen 'strategic defeat,' " a senior U.S. counterterrorism official told The Post. "But if you mean that we have rendered them largely incapable of catastrophic attacks against the homeland, then I think Panetta is exactly right," the official said, speaking anonmously. "We are within reach of rendering them to that point." 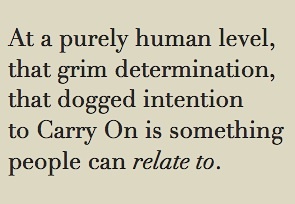 It’s a mindset borne of cautious optimism and a readiness for surprise. And why not? How many times have you seen movies in which the villain (man or machine) has apparently been vanquished, and then, moments later — right when the good guys are high-fiving each other for a job well done — up jumps the devil. The beast they thought was finished mounts a comeback. The senior U.S. counterterrorism official offered Miller of The Post that very sobering caveat. "Terrorist organizations, even more than enemy armies, are capable of reconstituting," s/he said. "The thing we absolutely don't want to do is hang out another 'Mission Accomplished' sign." 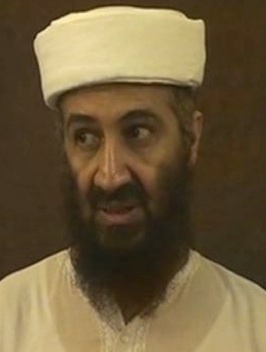 Of all the powerful revelations in the wake of the raid on bin Laden’s compound in Abbottabad, Pakistan, maybe none was important, as dramatic, as the disclosure that the killing of bin Laden also yielded tha treasure trove of information on the organization’s plans, information found in hard drives, tapes and writings. For all his religious and cultural traditionalism, Osama bin Laden was a captive of 21st-century technology, just like the rest of us. He was an avid student of the video format, paid close attention to how he was perceived in the West, and watched videotapes of himself to assess his on-camera performance (maybe he was working on a presentation for a newscaster gig in case the whole terrorist thing didn’t work out). 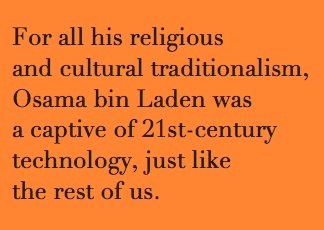 The jihadist’s embrace of technology helped lead to the capture of what is, for all practical purposes, Osama bin Laden’s brain. As someone whose command of al-Qaeda was very hands-on (despite the analyses of those who thought he’d walked away from al-Qaeda’s day-to-day operations), bin Laden left a veritable owner’s manual of how al-Qaeda worked. That’s certainly one reason why the U.S. intelligence officials’ overview is so generally upbeat. Simply put, what remains of al-Qaeda is stymied by the fact that, with the capture of that information in May, we know what the various autonomous units of al-Qaeda don’t know. And they don’t know what we know; they’re working without a map, operating without the overall vision and scope that was bin Laden’s, and his alone. That operational paralysis is made worse, ironically enough, by one of the very features that made al-Qaeda such a pregnant threat in the years since 9/11. The group’s loose org structure, the relative autonomy of al-Qaeda cells, required the glue of bin Laden, al-Qaeda’s founder and COO, to give it a collective identity. Now with bin Laden out of the picture, that identity’s been badly fragmented, its seeming invincibility a thing of the past. The al-Qaeda brand will never be the same. 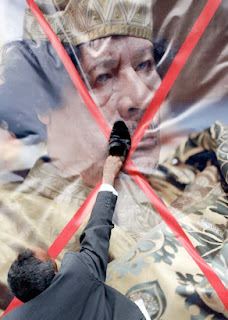 And finally, al-Qaeda’s jihadist mission has been complicated by the unanticipated events in north Africa and the Middle East, as the citizens of Egypt, Libya, Syria and other countries in the region have undertaken grassroots uprisings against their governments, uprisings that continue to this day. You’d say the media was piling on to keep going after the feckless presidential campaign of Newton Leroy Gingrich, if only he didn’t make it all too easy to observe a campaign that never got out of first gear in the first place, self-victimized by another sad gaffe on Wednesday. That’s when, in a photo op gone sideways in about 30 seconds, King Newt was hoist on the petard of the fierce economic nationalism that animates his identity and his campaign. At a news conference at Gingrich campaign headquarters in Atlanta, Newt stopped to pose holding up one of his NEWT 2012 campaign T-shirts, brandishing it in the usual goofy style of all candidates at one point or another. Gingrich held it up to his chest, obliging a request by an ABC News producer. "A lot of what you’re talking about is taking America back to America,” the producer said. “We asked for t-shirts to be sent to us and they were made in America," an ABC producer said. "I just picked up that one and it's made in El Salvador." "I'll have to ask the folks who ordered this," Gingrich said. "I don't order it and I don't do it." "That was a rush order made by some of the volunteers," Selesky said. "One of the challenges with a volunteer campaign is lots of volunteers do lots of different things," Gingrich said. Newt’s volunteer army, of course, was made necessary by a number of financial issues that have plagued the campaign (said to be $1 million in debt), and personal missteps that called into question both his operational acumen and his timing. The problems — the walkback of a denunciation of the Paul Ryan budget plan; the absence of Gingrich while he cruised the Mediterranean with his wife weeks after launching his campaign; the Tiffany credit-line debacle; the residual PR fallout of one affair and three marriages —resulted in the exit of several of his top strategists and advisers, some of whom reportedly weren’t paid beforehand. Later that day, CNN reported, Gingrich went back to his campaign HQ, the candidate (on firmer footing this time out) repeating his investment in the power of a volunteer campaign. “I believe in a positive, solutions-oriented campaign of substance and I think as we now move away from the consultants and back to that model, we're getting more and more coverage and having more and more impact and volunteers are a key part of that," he said. But however resolute he is about this latest pivot by his campaign, it runs the risk of more such gaffes and errors. 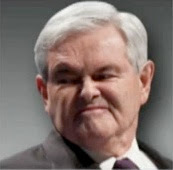 As his campaign apparently moves away from the paid strategists who know the terrain, Gingrich, a man of no small ego, moves toward what could the most problematic, least productive possibility: a campaign of a presidential candidate predisposed to take no one’s advice but his own. Image credit: Gingrich: Via Current TV. 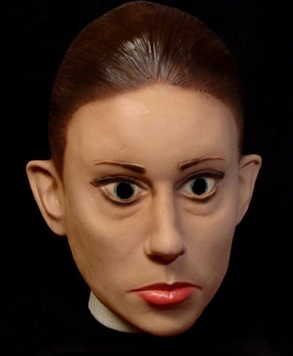 It’s poised to be the hit of Halloween 2011: the Casey Anthony mask, or more accurately the mask of the pouting mask of contrition and annoyance she wore consistently during the six weeks of her trial for the murder of her daughter Caylee. KTLA reported Thursday that Torro, a Los Angeles pop artist and sculptor, has sold a latex Casey Anthony mask, one of nine he created for a parody video. The mask sold on eBay for $999,900. The eBay selling point? The mask, “sculpted to precision,” was a “significant piece of crime history.” Someone apparently thought so. There’s a good chance that we’ll see Casey knockoff masks, made on the cheap in a hurry by some enterprising entrepreneur, loose on the American streets this Oct. 31. Someone’s likely to make a lot of money, and it may not be Casey Anthony. It’s gonna be hard to sue for infringement of your likeness when you — the source of that likeness, the object of death threats — have gone into hiding. When everything you've done from the moment you got out of jail after your acquittal is to transform that likeness into something else. No question, Casey's in play. On the HLN channel Thursday night, Hustler magazine Larry Flynt offered Casey Anthony $500,000 to pose for the mag. And there have reportedly been “talks” between the three broadcast networks and those in Anthony’s “camp” about a possible interview, which the networks have already said they wouldn’t pay for. Speculation is high about where she’s been since she was released from the Orange County jail early on July 17. ABC News reported that Anthony boarded a single-engine prop plane registered to a wealthy California attorney at Orlando Executive Airport. Montana? Maybe not, counselor. The National Enquirer, that guilty pleasure on a checkout rack near you, reported after her release that plans had already been set in motion for a complete Casey makeover — including a $50,000 reinvention by plastic surgery — courtesy of a mysterious 51-year-old Australian tycoon who once had a fling with Anthony … a man whom the Enquirer speculated may well have been Caylee’s father. Fox News Orlando said July 18 that news reports had emerged “linking Casey to Central Florida, Puerto Rico, Ohio, Arizona, and California.” With multiple Casey sightings like that all over the country, there may be more of those masks around than we think. Eventually, of course, after the perceived outrage of the public has moderated, she’ll almost certainly reappear, after a fashion: interviewed in a secret undisclosed location, arc-welder sunglasses in place, her voice disguised, her face pixielated to a fare-thee-well. That’s when we’ll get the real story — or in all likelihood, a retelling of the story she’s stuck to from the beginning. Until then, the mask will have to do. This replica and its spinoffs may be the last we’ll see of the Casey Anthony we’ve come to know over the last three years. 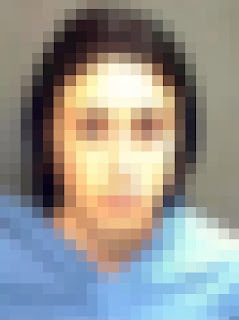 The real Casey Anthony probably is no longer around, her identity being erased through the work of her lawyers and, quite possibly, some millionaire’s version of the witness protection program. We’ll forget about her until Halloween, when she shows up in absentia to compete with the replicas of Jason Voorhees, Freddy Krueger and various demons and goblins for the scariest mask of the holiday. When they see this mask coming from a distance, parents are advised to walk on by. Hold their children close. And when the kids ask who the stark, severe, pointy-eared ghoul walking their way is supposed to be, tell them the truth. Just tell them she doesn’t exist any more. Image credits: Anthony mask: via Gawker.com. Anthony in court: Joe Burbank/Associated Press. Anthony mug shot photo-illustration: Short Sharp Shock. It takes a big man to admit when he’s wrong, or certainly a practical one. When the facts and numbers you claim to live by add up to something other than what you thought, there’s evidence of a grasp of reality when you say, in front of God and the media and everybody, my bad. Whatever else one thinks of his politics, it’s fair to concede that Republican presidential hopeful Herman Cain came to such a moment of contrition when, on Wednesday, he apologized to Muslim Americans for various comments he’s made in his wobbly but earnest quest for the Republican nomination. Cain, the former CEO of Godfather’s Pizza, did so in full throat, not making his mea culpas in the manicured arena of a video studio in an undisclosed location, or using a desiccated boilerplate press release to Apologize If I Offended Anyone. Cain showed up, meeting with four Muslim leaders at the ADAMS (All Dulles Area Muslim Society) Center in Sterling, Va., with 5,000 families and seven branches one of the largest mosques in the Washington, D.C. area — the candidate, face to face with some of the people he had offended in recent months. “I remain humble and contrite for any statements I have made that might have caused offense to Muslim Americans and their friends," Cain said later in a statement Wednesday. "I am truly sorry for any comments that may have betrayed any commitment to the U.S. Constitution and the freedom of religion guaranteed by it." Cain characterized the meeting positively, and praised its "heartfelt fellowship and thoughtful dialogue." "The relationship we established was so positive that the Imam has invited me back to speak to not only some of their youth, but also at one of their worship services," he said. And Cain, significantly, reached back into his own past as an African American man in the Jim Crow South, and established a powerful — and maybe even game-changing — cultural symmetry between their experience and his own. "In my own life as a black youth growing up in the segregated South, I understand their frustration with stereotypes," Cain said. "Those in attendance, like most Muslim Americans, are peaceful Muslims and patriotic Americans whose good will is often drowned out by the reprehensible actions of jihadists." Early reaction suggests some love going back. "He seemed genuinely surprised," said Robert Marro, an ADAMS Center trustee, to TPM. "It was almost like he was saying, 'I should've known better.'" What bears watching now is the reaction — though some might say the blowback — to Cain’s remarks from the Tea Party life form of the Republican Party that’s had his back since he launched his campaign in May. 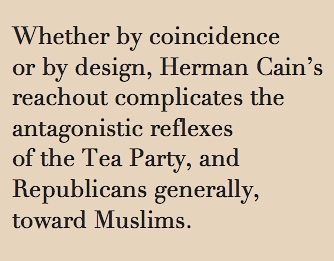 Whether by coincidence or by design, Cain’s reachout to Muslim Americans complicates the antagonistic reflexes of the Tea Party, and Republicans generally, toward Muslims. And it raises the question of whether others in the field of Republican contenders will feel compelled to sign on to Cain’s bid for centrism in the runup to the utterly partisan primaries. Anti-Muslim vitriol has been basic to the Tea Party world-view, almost automatically so. Now there’s a question of how the Tea Party hierarchy reacts. Will they scream “turncoat!” and “blasphemer!” at Herman Cain before throwing him under the bus? Or will they look at Cain’s statement as an opportunity to make the pivot toward the kind of practicality they need to be as viable as a political force as they think they are? Cain may have by accident ushered the Tea Party and Republicans generally into a moment of decision they wouldn’t have reached on their own. The candidate’s dignified climbdown from at least one of his extremist scaffolds — are apologies to Mormons and Hispanics next? — suggests a real early reach for pertinence and clarity. Herman Cain made the first move. Because of that move, and regardless of that move, his party can’t afford to stand pat. Image credits: Cain: Patrick Semansky/Associated Press. MSNBC, like much of the mainstream media, has come under fire in recent years for the absence of black and minority commentators and newsreaders in prime-time. The absence of minorities in television news is part of a general decline in minorities in newsrooms across America — the collateral damage from an industry still making the long existential shift from newsprint to the online realm in the midst of the worst economy in our lifetimes. So MSNBC’s recent vote of confidence in two African American thought leaders as on-air personalities is a break with the prevailing trend. As ever, the devil is in the details. Rev. Al Sharpton, longtime social activist and a frequent guest on various MSNBC properties, is reported to be in line for his own program on MSNBC, at the 6 o’clock hour, replacing the unhappily departed Cenk Uygur. Over the past week, The New York Times, The Los Angeles Times and Newser reported that signing Sharpton was all but a done deal. Or so it’s been said. To this point, more than a week after the first disclosures of Sharpton’s possible consideration first surfaced, nothing’s been finalized yet. How detailed can a contract be? The longer it goes on, the more the suspicion grows that someone in a gray suit is looking out the window of the executive suite and having second thoughts. Sharpton’s larger-than-life style, his vocal delivery honed as it was in the church and in the street, has the virtue of directness; if the stars align for him at MSNBC, he’d certainly make the 6 o’clock hour interesting. Maybe too interesting for some, interesting at the expense of some other African American journalist more qualified to engage newsmakers in the topics of the day as a skeptic rather than a flamethrower. Richard Prince of the Maynard Institute, which supports and monitors media diversity, said as much when he blogged on his Journal-Isms blog that Jeff Winbush, a blogger and former editor of the Columbus Post, and a member of the National Association of Black Journalists, told colleagues that a Sharpton ascension “would still be just another non-journalist media ‘celebrity’ receiving a TV show based upon their name recognition, not their years of experience, training, ability and talent.” Belief.net reported it today. 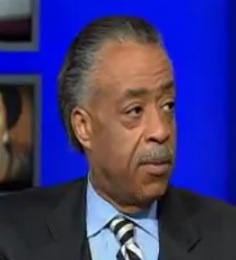 This could explain the slow-motion chin-pulling re Sharpton by MSNBC brass. 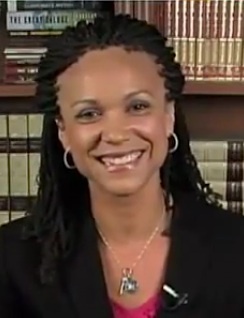 Less problematic, from the standpoint of academics and telegenic grooming, is Dr. Melissa Harris-Perry, author, professor of political science at Tulane University and a frequent guest on numerous MSNBC shows. On Monday, during analysis of President Obama’s debt-ceiling speech, MSNBC’s Lawrence O’Donnell announced that Harris-Perry would be filling in as guest host of “The Rachel Maddow Show” while Maddow was on vacation — filling in for the rest of the week, in the sweet spot of prime-time. Again the blogosphere jumped in, many commenters heaping praise on Harris-Perry’s on-air style and her sometimes startling but smartly rendered perspectives on the day’s news. Some even asked outright why she wasn’t considered for the program slot thought to go to Sharpton. “I am LOVING Melissa Harris-Perry as Maddow's guest host,” wrote one commenter at Democratic Underground. “Give a show to Melissa Harris-Perry. Love her,” someone wrote at Deadline.com. You could see the possibilities tonight in her maiden “Rachel Maddow” voyage. She did just fine. Within one minute of beginning her guest stint, it was clear: Harris-Perry has the indefinable It that television lives and dies by. Polished, manicured, affable, incandescent. The camera loves her. The fact that MSNBC is apparently actively considering a Sharpton show, and maybe passively considering a spot for Harris-Perry, is hopeful for reasons that don’t diminish in the least the legitimate objections of minority journalists. It means that a major news channel may be stepping up to the plate to give African American thought leaders — and journalists, if the network is to be philosophically consistent — what they’ve always wanted, what we’ve always needed: the chance, the opportunity, to succeed in the same mainstream media arena, to elevate concerns of African Americans to the national debate, to let all Americans experience news and commentary as delivered by an African American face — as surely as, since Jan. 20, 2009, much of the news that matters has been created by a man with a black face. And not to confer anything close to sagacity upon the jefes at MSNBC, but should Sharpton and Harris-Perry both make the cut, that channel would have pulled off something of a perceptual coup for its black viewers: bringing two prominent African American voices to prime-time cable, voices whose life experiences, genders and perspectives reflect more of the diversity of experience — from the asphalt to the ivy, from the street to the suite — that makes us who and what we are. It’s still to be seen how long it takes the machinery of MSNBC to make its decision on either Sharpton or Harris-Perry; it’s s safe bet that, with a fractious 2012 presidential campaign about to step off, MSNBC’s current lineup may be in flux for some time to come. MSNBC may be doing nothing more than field-testing show hosts (and gauging public reaction before the fact, via social media) in today’s relative quietude, months before the campaign madness begins. So be it. In today’s informational free-for-all, the addition of one and possibly two African American luminaries to the existing spectrum of viewpoints is a good first step toward pluralizing the ranks of America’s electronic journalists. The next step — letting those luminaries become part of a wider, deeper mix of black and minority journalists at other networks, talents working both behind the camera and in front of it — will be no less important. Image credits: Sharpton and Harris-Perry: MSNBC. It’s been quiet — relatively quiet, anyway — on the Murdoch scandal beat for the last three-four days. The postmortems from last week and the week before are mostly in and settled; certain people have been cashiered (as expected), and life at Fortress Murdoch has gone into hunkering-down mode. Which probably makes sense. It makes sense because the Rupert/James Murdoch-News Corp scandal is destined to be one of those wave stories, a tidal news event, a series of revelations, each new one more problematic and incriminating than the one before. We got part of it, that first first wave, in the Select Committee parliamentary hearing last week, when Murdochs father & son were looking rather unprepared for what had already happened. That performance at Portcullis House, workmanlike but uninspiring, can’t augur well for what’s about to take place, what’s already lapping against the shores of the empire. Some of the blowback came last week from an unexpected place ... or maybe all too expected. John Bussey’s column last Thursday in the News Corp-owned Wall Street Journal lamented “The Missteps in Managing News Corp’s Hacking Crisis.” In a piece that was a generally mild brushback pitch, Bussey surveyed PR thought leaders on how News Corp had mismanaged the perception battle in the media. For any other company, that might be good advice. For News Corp, however, the one proceeds directly from the other. There’s not an inch of daylight between the attitude, the culture that precipitated this situation and the behavior News Corp has shown in handling it. Mostly, it’s the persistence of an arrogance, a divine right of plutocrats; it’s a duplicity, or a suspected duplicity, about the Murdochs’ dealings. James Murdoch, News Corp’s deputy maximum leader, may be compelled to go before another parliamentary hearing in the days or weeks to come, because he’s suspected by members of Parliament of having been, shall we say, less than forthright when he testified last week. When you’re accustomed to dealing with businesses, politicians, the media and the public in general as adversaries, if not outright enemies, getting the benefit of the doubt when you need it is a tough thing to do. One might think that Team Murdoch might also invest some time online looking at a chart devised a few years back as a way of making graphical sense of the decline of the newspaper business. Team Murdoch should study it, for reasons only slightly different than those for which it was devised. What’s striking in this graph is its elegant simplicity and its versatility — as thoroughly adaptable to small businesses as it is to political parties, as applicable to oil superconglomerates as it is to a newspaper industry hurrying to pivot toward the future, as pertinent to an economy on the cusp of crisis as it is to a multinational media empire that’s already there. P4 and gaining speed. The story that’s always been a global story is about to become a Washington story. The Wall Street Journal recently reported that a Justice Department investigation is slowly getting under way, with subpoenas being prepared. A grand jury may be empaneled. 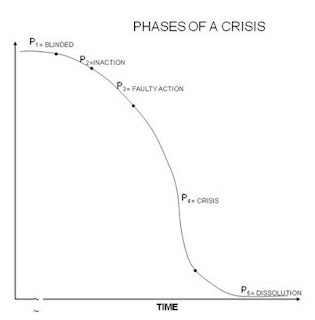 And to one degree or another, the survival mode at the top of the food chain at News Corporation has certainly shifted, from the hopeful description of crisis management to what it really is right now, and has been for some time: crisis containment. The second shift of cash shovelers has just punched the clock at Fortress Murdoch. The sound of waves against the shore outside may soon be almost deafening. President Obama tonight made his case to the American people on the way forward in resolving the debt ceiling crisis-in-waiting. In his 15-minute address from the East Room of the White House, the president shrewdly exploited the power of modern communications, taking a page from the Howard Beale Playbook of populist activism. Discounting the possibility of this being an Assangist action or a vast national prank, it was clear that — on a spot flashmob basis, at any rate — the president had struck some raw nerve in the body politic. It was obvious the president could still frame the debate in stark, inescapable terms and summon some not-insignificant slice of the American people to action. What was less obvious, then and now, is what took him so long to do it. In terms more practical than apocalyptic, Obama pushed back against the short-term solution now being considered by the House. “Defaulting on our obligations is a reckless and irresponsible outcome to this debate,” he said tonight. “And Republican leaders say that they agree we must avoid default. But the new approach that Speaker Boehner unveiled today, which would temporarily extend the debt ceiling in exchange for spending cuts, would force us to once again face the threat of default just six months from now. In other words, it doesn’t solve the problem. “First of all, a six-month extension of the debt ceiling might not be enough to avoid a credit downgrade and the higher interest rates that all Americans would have to pay as a result. We know what we have to do to reduce our deficits; there’s no point in putting the economy at risk by kicking the can further down the road. “But there’s an even greater danger to this approach. Based on what we’ve seen these past few weeks, we know what to expect six months from now. The House will once again refuse to prevent default unless the rest of us accept their cuts-only approach. Again, they will refuse to ask the wealthiest Americans to give up their tax cuts or deductions. Again, they will demand harsh cuts to programs like Medicare. And once again, the economy will be held captive unless they get their way. "The American people may have voted for divided government, but they didn't vote for a dysfunctional government," Obama said just before the windup. "So I'm asking you all to make your voice heard. If you want a balanced approach to reducing the deficit, let your Member of Congress know. If you believe we can solve this problem through compromise, send that message." The message was apparently sent; some offices in Congress may have been briefly knee-deep in webmasters earlier tonight. But what’s concerning is the message that was delivered before their messages were delivered. 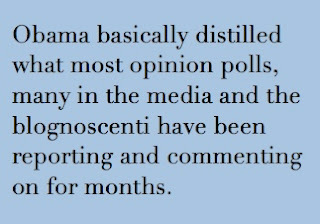 Obama basically distilled what most opinion polls, many in the media and the blognoscenti have been reporting and commenting on for months. 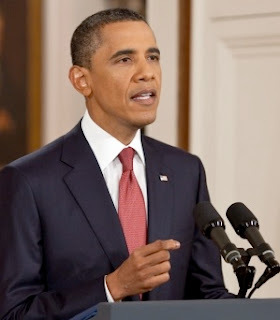 He gave us a reminder of how many times the debt ceiling had been raised pro forma under both Republican and Democratic administrations; he offered the obligatory dire forecast; he repeated a multitude of the talking points and commentary topics that have long formed more of the debate than the president may have realized. Obama finally took the issue of a short-term extension directly to the American people tonight. What had been up to this point largely a debate for Washington insiders and pundits was now front and center in a presidential bid to clarify the most pivotal financial issue the country faces. In recent years Rep. Michele Bachmann has acquired a reputation of being a true loose cannon of the Republican Party. Despite her more recent flirtations with gravity and earnest discourse in recent months — and certainly since she declared her candidacy for the presidency in 2012 —Bachmann has a longer track record as a freewheeling political iconoclast willing to say just about anything. Her comments during the 2008 presidential campaign and throughout the 32 months of the Obama presidency constitute a kind of blooper reel of revisionist history and bad manners. 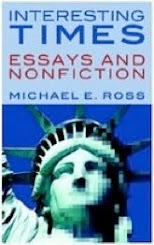 Most recently, of course, there was her, shall we say, unique take on quality of life for African American slaves compared to that for black Americans in the present day. And one can’t forget her ... uh, inspired reordering of facts concerning Paul Revere and the American Revolution. She’s come to earn her reputation as a messianic gadfly of the right. Lately, though, some people on either side of the aisle have called her fitness for higher office into question because Bachmann requires prescription medication to cope with debilitating migraine headaches. Bachmann, no doubt trying to get on top of the issue, after a Monday story in The Daily Caller, made a formal announcement about the problem on Tuesday, confirming something her staff, associates and friends have known was a fact of life for the Minnesota congresswoman for years. Apparently, these aren’t light, transient episodes but really debilitating migraine headaches. Picking up on the Daily Caller story, Politico reported Wednesday that Bachmann suffered migraine attacks in March 2006, May 2010, July 2010 and October 2010. “Within the Bachmann team, this was not a secret about her headaches and the problems and doors going closed. It could be anyone from an intern to a chief of staff that could be aware of this,” one former top Bachmann staffer told Politico. Politico reported Friday that former Minnesota Gov. Tim Pawlenty is denying, himself and through his staff, that his campaign had anything to do with leaking the information about Bachmann’s migraines. "I checked with our staff," Pawlenty told reporters after a pickup hockey game in the Hawkeye State. "They said they did not push the Bachmann story. In fact they reminded me that the sources for the story were her, apparently, her former staff." What’s inescapable in all this is the interpretation of the revelation: The response to Bachmann’s headaches are being framed almost as a character flaw or the seeds for a scandal; Pawlenty’s need to deny any involvement in leaking the information would be the same had she been caught up in some tawdry, compromising event. Make no mistake, it’s a problem for Bachmann and her young campaign. The excruciating pain as described by migraine sufferers who are ordinary people is said to be bad enough. Consider the prospect of Bachmann facing the relentless intensity of light and sound and movement that’s foundational to a presidential campaign … day after day after day. It can’t be heartening to the Bachmann campaign that the attacks have seemingly accelerated — at least three in 2010 alone, according to Politico’s reporting — as Bachmann’s profile in the national spotlight has increased. But management is possible; she’s done this for years now, and the attacks haven’t stopped her rise in political stature and influence in the least. And ironically enough, in the perverse calculus of populist politics, Bachmann’s migraines bestow a kind of humanizing advantage for a campaign that can use one right about now. This may be something like Michele Bachmann’s Mormon issue, but it’s one that people can understand. Lots of people. She’s not going through this alone, you know. There are about 30 million migraine sufferers in the United States, according to the federal Office on Women’s Health. Seventy-five percent of them are women. Medically, that’s a challenge. Politically, it could be an opportunity — mostly one for Bachmann to prove to the broad cross-section of the American people that, specifics of political philosophy aside, a migraine sufferer can function and thrive in American society, regardless of the cerebral agony that’s never far enough away. She said as much on Tuesday. Never mind the voters predisposed to support her politically; at a purely human level, that grim determination, that dogged intention to Carry On is something people can generally relate to, and maybe a powerful call to action to the millions who know exactly what she’s going through. So anyone in the current crop of Republican presidential candidates possibly tempted to dogwhistle the Bachmann migraine issue into their campaign statements and press releases might want to think again. Everything has unintended consequences, nothing more so than politics. 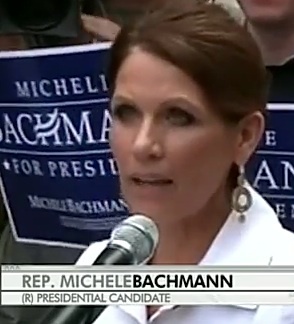 Bachmann’s personal problem may resonate with the American public in ways they never expected. Image credits: Bachmann top: Still from CBS News video. Part of the price to be paid for gaining a fuller assimilation into the American experience is the risk of assuming the same political and philosophical mindset and attitudes of the people who’ve complicated that assimilation in the past and the present. The presidential campaign of Herman Cain is the current case in point. Cain, something of a darling to the Tea Party Republicans, has flirted with pertinence by adopting most of the Tea Party conservative agenda, and throwing in his own outlier firebrand xenophobic nonsense, just for good measure. First off, Cain’s assessment is apparently just flat-out wrong. 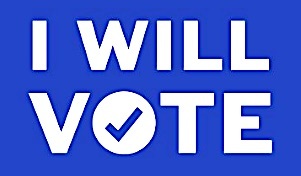 The Washington Times reported on Monday that “[a] just-released American Research Group poll in South Carolina, one of the first four states on the official primary calendar, has Mr. Romney leading, with support from 25 percent of the sample of 600 likely Republican primary voters." That poll points to the fallacy of Cain’s perceptions about the South, thinking that’s locked in the amber of old perceptions of the Southern psyche. 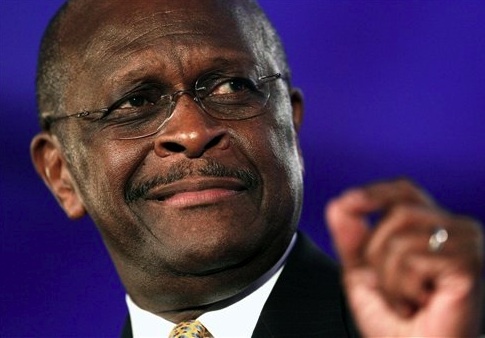 But Cain’s statements also reflect a disturbing inversion of American political and racial history. He’s in effect cultivating his own variation of the Southern strategy once used by Republicans to galvanize white voters against black political advances in the Jim Crow South. Cain’s statement was an audible dogwhistle to Southern conservatives to vote their faith and their party; and it was daring, almost a throwdown for a fight, not even bothering to communicate its meaning or intention in coded language. Oh, you mean the same southerners and descendants of Southerners who used to — and maybe still do — have a problem with African Americans like you, Mr. Cain? This, of course, came after a controversial extremist broadside last month, when Cain, to the ire of Hispanic Republicans, spoke to voters in Iowa and announced his desire to electrify a 20-foot wall beside the Mexican border, a barrier topped with barbed wire and rimmed with alligators in a moat on the United States side. 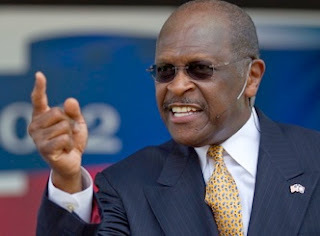 "We call on Herman Cain to drop his candidacy for president. His recent comments and lack of practical solutions to solving illegal immigration show he’s not a serious candidate," said the Somos Republicans organization, in a statement released Monday. And we can’t forget what happened last week, when Cain (visiting another likely 2012 battleground state, Tennessee), announced his opposition to the construction of a long-planned mosque. Days later, Cain went on “Fox News Sunday” and enlarged on his opposition to the Tennessee mosque venture, effectively calling for a rollback of the First Amendment to the Constitution when he said that any American municipality should have the unilateral right to decide whether mosques can be constructed there. It read in part: “It may take some time for us to rebuild trust.” Ya think? All praises to someone with a good grasp of the obvious. Part of that trust-rebuilding process apparently required adding two more names to the growing list of News Corp’s hallowed dead, hurling two trusted News Corp execs under a bus that’s moving sideways at best. Les Hinton resigned as the publisher of The Wall Street Journal, one of the News Corp crown jewels. Hinton is believed to have lied to Parliament in previous statements denying knowledge of the hacking scandal that’s now News Corp’s undoing. 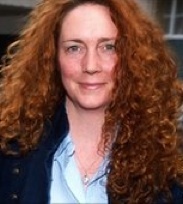 The company also accepted the resignation Friday of News Corp’s tyro in chief, Red Queen Rebekah Brooks, who was briefly arrested, interrogated and released. We’ve previously seen the ruthless business dealings of Murdoch the Merciless; we’ve encountered Murdoch the Mercurial, a man whose tempers and passions brought his business to the pinnacle of success. On Tuesday, at a parliamentary hearing he couldn’t bluster, bluff or buy his way out of, we got a good look at Murdoch the Mild. It was not a pretty sight. This sordid corporate tale of malfeasance and mismanagement had just about everything. Now — cue Agatha Christie — there’s a body in the morgue. Correlation, of course, isn’t causation, but timing is a very compelling thing. Even if Hoare’s death has no connection to the News Corp implosion — Hoare was reported to have had alcohol and drug problems in the past — it’s just one more thing for News Corp to endure. Scotland Yard, too: The scandal and the ways Murdoch media money compromised the integrity of officers on the force claimed the careers of the Metropolitan Police’s top cops. Sir Paul Stephenson resigned as police commissioner on Sunday; his deputy, John Yates, checked out the next day. On Sunday it got worse for Rupert Murdoch’s defense of innocence-by-ignorance. According to The New York Times, News Corporation paid out about $655 million over five years to silence or settle various charges of spying, allegations of antitrust violations and anti-competitive practices. That that kind of money could be spent by a company without the knowledge and approval of the chairman and CEO of that company flies in the face of fiscal reality. That that kind of money could be spent for that purpose with the chairman and CEO’s blessing surely waltzes past fiscal responsibility. CEOs have been fired, or worse, over a lot less money than that. Still, the notion persists that Rupert Murdoch is capable of having it both ways: of maintaining his historically hands-on, dictatorial lock on power over News Corp while denying any involvement in such mammoth payouts, or any knowledge of the activities that made those disbursements necessary in the first place. More and more, the contours of the News Corp/Murdoch scandal, the shape of this thing has no shape. It’s become like one of the CGI phantasms of the movies, like something from the “Transformers” movie series, growing, morphing, sprouting limbs and heads it didn’t have the day before. Maybe that’s why Rupert swears he didn’t see this coming. Maybe that’s why, at the Government Select Committee parliamentary hearing convened on Tuesday at Portcullis House in London, he insisted it was all somebody else’s fault. All of it. The cultivation of a ruthless hacker culture. The disregard of editorial oversight and circumspection. The war on enemies real and imagined. The spying. The bribes. The possible antitrust violations. The wanton torching of $655 million in defense of a way of business as a way of life — a sum of money whose squandering by any other CEO in the world would be grounds for solitary confinement in an eight-by-ten-foot cell. In at least one of the Japanese samurai films — was it “Seven Samurai”? —there’s a scene in which two warriors are going at it in full combat, sword blades flashing dramatically, for many long moments. Then one of the fighters swings his sword toward his opponent, apparently just missing him by scant inches. Apparently. After a moment of stillness, the other samurai stares ahead in surprise and drops his sword … a split second before his torso and his lower extremities reveal how they’ve been not so amicably separated. To hear Lawrence O’Donnell of MSNBC explain it tonight on his “The Last Word” program, that’s just what’s happening in the caged match between President Obama, House Speaker John Boehner, House Majority Leader Eric Cantor and their Tea Party Republican associates over the federal debt ceiling. O’Donnell’s step-by-step explanation of the negotiations seem to reveal the president as a master of the transactional kung fu according to Capitol Hill — even as they show O’Donnell to be a ninja of explanation. 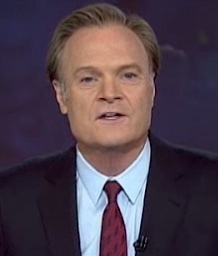 I’ve had my issues with Lawrence O’Donnell. There’s no question he’s a consummate Washington insider, one who knows where the bodies of legislation are buried, partly because (as part of the Senate Finance Committee staff that helped write tax legislation during President Clinton’s first term) he helped create some of them. And there’s absolutely no question where his heart’s at; in his analyses on “The Last Word” and in his promo spots fore MSNBC, O’Donnell wears his liberalism proudly and he doesn’t back down. 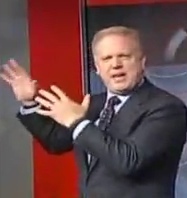 That said, his on-camera delivery on MSNBC often leaves a lot to be desired. He speaks in a style that’s tirelessly didactic; his pauses for significance are painfully transparent, with O’Donnell straining to impart an importance that sounds as if it tries ... to be more important ... than perhaps ... it is. Sometimes you feel like you’re being lectured to, trapped in some college survey course you can’t get out of. You may not like his way about the camera, you may not agree with O’Donnell’s analysis, but on Monday night you had to admire its thoroughness, the way he procedurally lays out the arc of the debt-ceiling debate and the ways in which Obama has, to this point at least, played the Republicans like a violin, performed a rope-a-dope Ali would be proud of. The endgame over the debt ceiling is getting closer, even though the specifics of the outcome are still in doubt. But if it plays out like this insider’s insider thinks it will, the president will win a much-needed victory over a Republican House determined to destroy him; that president will show the public who the real obstructionists in the debate have been … and one commentator on a major cable television network will get bragging rights of his own, the kind a journalist loves: the right to say I Told You So. The News of the World, the 168-year-old newspaper that was the world’s most widely read, printed its final edition on Sunday, signing off with an oversize salutation: THANK YOU & GOODBYE. The scandal that led to its demise won’t be so neatly concluded. For Keith Rupert Murdoch, the buccaneer chairman and CEO of News Corporation (which owned NOTW); for various News Corp executives, and for the media itself, events over the weeks and months to come will prove how 21st-century media, and 21st-century scandals, have never been respecters of borders and nationalistic distinctions. And what’s already being called Murdochgate will show everyone the dangers of a master-builder mentality yoked to the laissez-faire culture of tabloid journalism and a ruthless obedience to the bottom line. On Saturday and Sunday, the brain trust at News Corp went into full damage control, hoping to contain the fallout from revelations that News Corp operatives were involved in hacking various telephone and voice-mail accounts of celebrated and ordinary British citizens — from Prince Charles to a Surrey schoolgirl, from Hugh Grant to soldiers of the realm killed in Afghanistan and Iraq — over a period of years. It was bad enough to drag Murdoch out of a business conference in Sun Valley, Idaho, and back to London to preside over the most pivotal, viral crisis in his corporation’s history. On Saturday, Jack Mirkinson of The Huffington Post offered a thorough overview of where this is probably heading. Up until now, it was thought that this was a UK affair, one of those veddy British imbroglios to be observed from afar (more on that skewed perspective later). But Mirkinson reported that James Murdoch, son of Rupert and director of News Corp’s international divisions, could face criminal charges both in the UK and in the United States. “[James] Murdoch has admitted that he authorized out-of-court settlements to victims of phone hacking during his time as head of News International, the British division of News Corp--and that the company misled Parliament repeatedly. Murdoch said that he did these things without "full possession of the facts." “Since News Corp. is technically an American company, Murdoch could also be prosecuted under the FCPA, since the legislation, in the Justice Department's words, "was enacted for the purpose of making it unlawful for certain classes of persons and entities to make payments to foreign government officials to assist in obtaining or retaining business." Rupert Murdoch has demonstrated a fierce loyalty to Brooks. Before News of the World was shuttered, it was expected that hers would be the first head to roll in the scandal. Instead, Murdoch kept Brooks on the payroll, offed his 168-year-old cash cow, and eliminated the jobs of about 200 reporters in the process. That loyalty to a fellow manager may come back to haunt him: With NOTW now history, some 200 reporters are loose in London and elsewhere, many of them no doubt angry enough to eagerly spill whatever they may know about how NOTW conducted its business. Nobody knows like the rank & file knows. Murdoch and Brooks both may formally offer the defense that they knew nothing about what their underlings were doing, that they were caught off guard by the actions of bad actors in the newsroom, freelancers of a dangerous kind. The question then becomes how could they not know it. The Buccaneer Murdoch may not have known about the scandal metastasizing under his nose, nor the Red Queen, nor the Buccaneer’s son, nor long-time News Corp lieutenant Les Hinton, now a managing director at The Wall Street Journal. Maybe. But the climate of permission, the ambience of latitude was something clearly created and cultivated by Rupert himself. The culture in which this could happen was an extension of the swashbuckling, zero-sum-game, take-no-prisoners style of the chairman, and no one else. Murdoch’s tireless drive for empire will cost him more dearly. 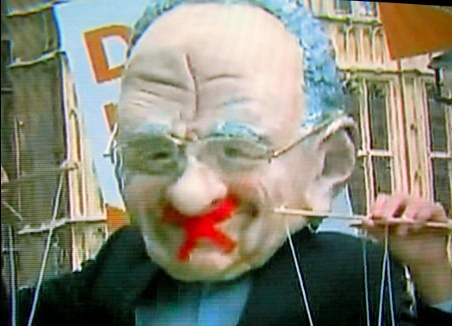 For many months now Murdoch has sought to obtain full control of BSkyB, the satellite television concern he’s longed for. Now, his BSkyB bid is in trouble. We’ll miss it, at least a little: The 128-point-type headlines on the front page that could make a private indiscretion look like an international incident; the fiercely weird blend of ads and editorial content, scandal and seriousness, gravity and snark. The News of the World, the most widely-read dead-tree English language news product on the planet, got its own worst prognosis today when Rupert Murdoch, the chairman of News Corporation and tireless media velociraptor, shut the UK paper down more or less immediately — this in the wake of a years-in-the-making, still-emerging phone surveillance scandal involving the paper’s executives. But in many ways, the shuttering of NOTW may be for News Corporation what the British like to call “the thin end of the wedge,” the first evidence of a deeply crippling damage to News Corp’s buccaneer business style, and a sordid first or second act in the final undoing of News Corp’s primacy as a newsgathering organization. The full-on NOTW scandal has developed at breathtaking speed, but its origins stretch back more than nine years. 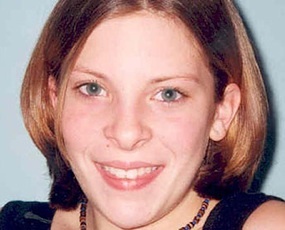 Allegations have emerged since late spring that NOTW reporters and paid operatives were enlisted in hacks of the telephone and voice mail accounts of (among others) the actors Sienna Miller, Hugh Grant and Jude Law, slain British soldiers, the father of a victim of the terrorist attack in London in July 2005, and Amanda Jane (Milly) Dowler, a missing teenage girl found murdered in 2002. 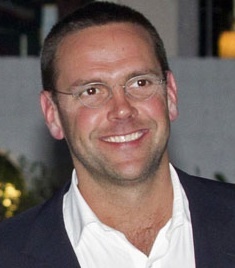 Making matters worse, plutocrat-in-training James Murdoch, News Corp deputy COO and son of Rupert, is thought to be implicated, suspected as he is of paying people for silence in the matter, reportedly writing hush-money £1 million checks to sweep the whole thing under the News Corp boardroom’s Berber rug. Now it gets official. British Prime Minister David Cameron has announced plans for two inquiries, one into the NOTW allegations directly, and another into the role that giantism and concentration of ownership play in the UK media, and how a Murdochian grip on that country’s media can be avoided in the future. What’s next? 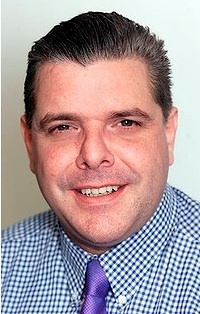 The pending arrest by British police of Andy Coulson, NOTW editor during the time the hacking was believed to have occurred. Other asses are expected to be in other slings shortly thereafter. A fish stinks from the head down. Wolff’s mostly right, but it’s wider than that. What’s unfolding now is important as an experience that means something to millions of us. The breadth and reach of Murdoch’s domain — not unlike Charles Foster Kane’s “empire upon an empire” — has depended on the idea of being on the side of the little guy or gal in the street. 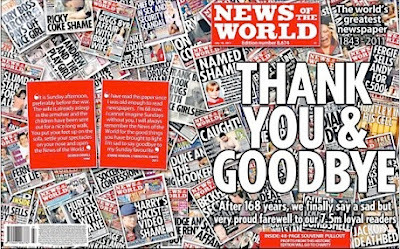 The NOTW scandal suggests, at least in UK media, that that kind of goodwill will be hard to come by again. And inconveniently for Murdoch, his challenges don’t end at the water’s edge. News Corp has lost luster in the United States, too. First there was the departure of Glenn Beck, the whack-job political fabulist and commentator who was bounced from News Corp-owned Fox News in the wake of increasingly bizarre on-air displays of intolerance and fabrication, and the desertion of advertisers who left Fox in droves thanks to Beck's antics. 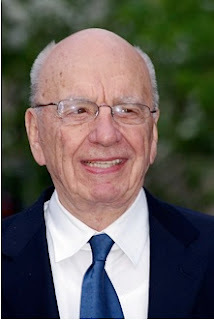 Then came News Corp’s sale of MySpace, the social networking Web site that News Corp triumphantly acquired in 2005 for $580 million … only to sell the company, on June 29, to a fledgling media outfit for $35 million — chump change, about what Rupert’s got in the couch cushions at home. Understandably, the financial pundits are looking at News Corp’s woes from a bottom-line perspective. CNN reported today, quoting an analyst, that NOTW only generates about 3 percent of News Corp’s annual earnings. CNN, borrowing from the most recent News Corp quarterly report, reported that all of News Corp’s publishing accounted for about 25 percent of overall revenue of $24.4 billion. But that isn’t necessarily surprising. The damage isn’t to News Corporation’s bottom line, the MySpace fire sale notwithstanding. That bottom line’s secure and should be for decades to come. The damage is done to something else. What that something else is will be obvious before long. At some point — and maybe it’s already started — you just know that News Corp editors’ résumés will be e-mailed and circulated to media outlets around the world. Maybe here, too. Because right now, what's at stake isn't money. What's at stake is News Corp’s credibility: as a company with deep and wide fiduciary obligations; as a source of common cause with the millions of everyday people who read its publications; as a place for advertisers to do business; and as a repository of editors and journalists, most of whom certainly deserve better. It’s about credibility and the fact that, as of now, every near-honorable journalistic entity under the News Corporation banner has taken a hit in that department, not through folly of its own but solely because of the owners and managers of the downmarket screed that shuts up shop in London on Sunday. Credibility. It doesn’t show up on a balance sheet. It’s not a line item in the 10-K filed with the SEC, it’s not part of the price per company share, but it’s real as dirt just the same. News Corp and the Murdochs will find that out in the days and weeks and months to come. Image credits: News of the World: © 2011 News Corporation. Milly Dowler: Surrey Police Department/Press Association. Glenn Beck: Fox News. Murdoch: David Shankbone, republished under Creative Commons Attribution 3.0 Unported license.